Dr. Phan is dentist and a medical doctor. He has advanced specialty training specifically in all oral surgical procures of the oral cavity and teeth. He treats patients of all ages requiring simple tooth removals to the most challenging anatomically placed teeth requiring surgical procedures. He is also skilled in surgical procedures involving bone replacement surgery and complicated surgical implant cases. Dr. Phan can also provide sedation when needed or requested. 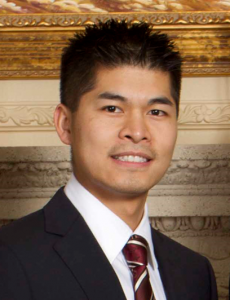 Dr. Phan grew up in Southern California. However he now resides in the Bay Area. He loves his work and his mission is to reconstruct his patient’s smiles for a healthy and happy life. Dr. Phan is married and has two children. He enjoys spending time at the beach in the summer and hitting the slopes on his snowboard in the winter.